I REALLY REALLY need to be better about posting to this blog because like seriously..that's what social media minded people are supposed to do. First things first....March 23 and 24th marks the opening of the Pixeldrop Art Gallery art show based on art inspired by the cartoon Legend of Korra. I made some dolls. 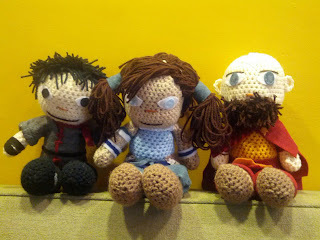 Right to Left: Mako, Korra, and Tenzin. The show promises to be something awesome, and if you're in the neighborhood, you should definitely check it out. Fingers crossed that they sell. Also, I just discovered that the mom of the kid who played Sam in Moonrise Kingdom bought my Sam doll. Soooo cool right? totally. What else? What else. Oh yes. 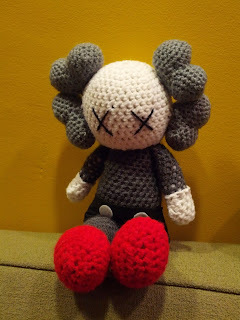 New dolls. I was commissioned to make a Kaws doll. It turned out pretty awesome I'd say. Wouldn't you? 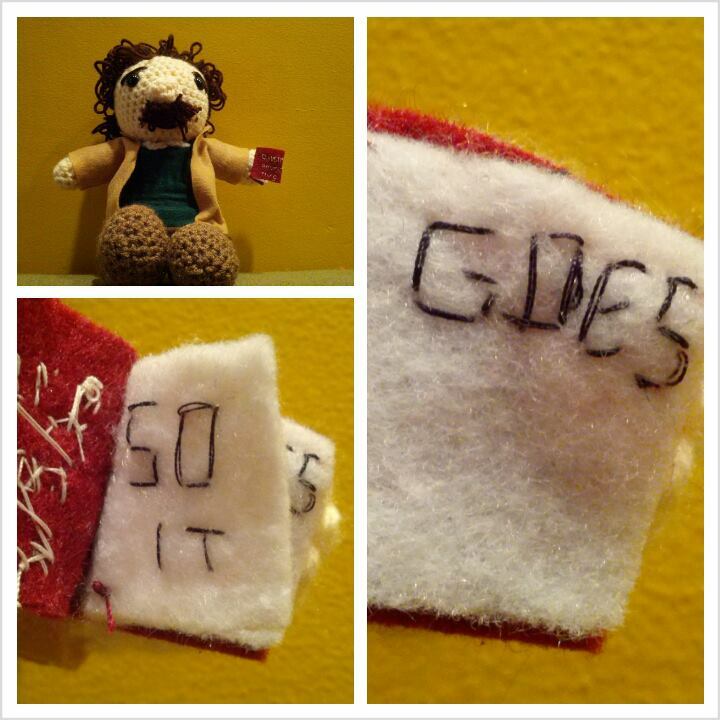 I made this Kurt Vonnegut doll for my dear friend Silas for his birthday. I have not actually seen him since November, but it sits on my credenza waiting to be taken along on my next outing to see him. It'll happen soon. I can feel it.